ABB will provide two fast-chargers for Scania electric buses in Östersund, Sweden. 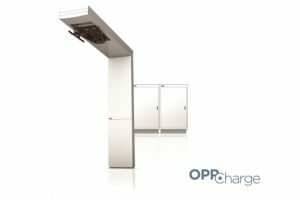 The chargers are based on OppCharge, an open interface for the automated charging of electric buses from any manufacturer, and use a pantograph on the infrastructure to connect the bus to the charging point. With tests set to start in the final quarter of 2017, the two ABB HVC300P fast-chargers will charge six fully electric Scania buses. 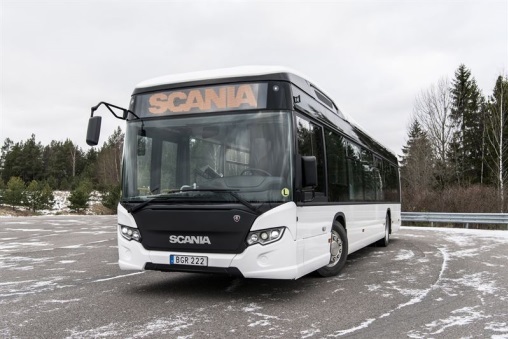 The trials will be carried out in collaboration with public authorities, including the City of Östersund, the municipality of Krokom, the Region Jämtland Härjedalen’s Public Transport Authority, the publically owned energy supplier Jämtkraft and the Swedish Transport Administration. The buses will be operated by Nettbuss, a subsidiary of the Norwegian State Railways, NSB, which is the second largest bus operator in the Nordic countries. The two charging stations will be built at both ends of the 14km major bus line, powering six buses. With 10-minute charging, the buses will run every 15 minutes, making 100 journeys each day. ABB’s fast-chargers are connected to the cloud for remote diagnostics and management, and receive over-the-air software upgrades to ensure maximum availability. Östersund Kommun issued separate tenders for the buses and their charging infrastructure. This was made possible by the OppCharge interface, which is compatible with a range of bus models, including electric hybrids. The cold climate of Östersund makes it the optimal testing ground for ABB’s fast-chargers, which are designed to be reliable in extreme environments.